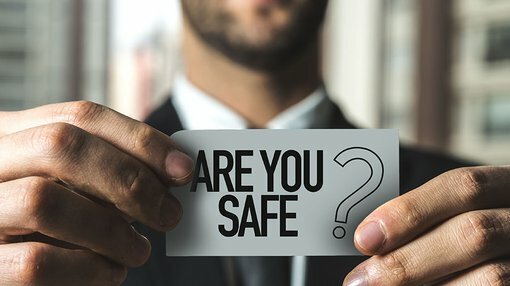 WhiteHawk Limited (ASX:WHK), the first global online cyber security exchange enabling SMEs to take smart action against cyber-crime and fraud, today announced that it has integrated technology from BitSight and Interos to offer a 360 Cyber Risk Framework to address Digital Age business risks. The industry leading BitSight is used globally and has set the standard in security ratings, while Interos is a proven leader in enterprise and supply chain risk management. The new framework offers businesses a tailored approach to address supply chain, sub-contractor and vendor risks. WHK has developed the framework to enable businesses to address digital age business risks in real-time, and is targeting major manufacturers (which there are roughly 150), as well as the 50 major US financial institutions (all of whom have an average of 100 to 500 supply chain vendors and sub-contractors). Beyond that, the product is targeted at Fortune 1000 companies with particular exposure to supply chain and third-party risk. Businesses utilising the framework will receive an automated comprehensive analysis of risks posed by third parties they engage and then provides a cybersecurity rating along with tailored solutions for each identified risk. The framework has been designed to assist larger businesses with effectively mitigating real-time risks from their supply chain partners, sub-contractors and vendors, which on average can range from 50 to over 500 SMBs. It is a new, holistic approach that has several advantages over the labour intensive and compliance-based approaches currently on offer. Further, what WHK are offering with the 360 Framework includes the ability for companies to subscribe to Interos’ automated assessments, risk scoring and monitoring platform that dynamically analyses the risks that a company is exposed to. Interos does the risk assessment and BitSight uses that data to generate a cybersecurity rating; following that, WHK offers a tailored solution based on the risks and rating. This means that the most appropriate cyber-security advice can be offered by WHK to each client company. In addition, the third parties engaged with the client company are also directed to the WhiteHawk Exchange, driving a significant increase in website traffic of SMBs needing to strengthen their cyber security profile. Executive Chair of WhiteHawk, Terry Roberts commented on today’s news: “In the past, the approach to addressing the inherent risks posed to Prime Businesses by its suppliers, vendors and sub-contractors has been labour intensive and heavily compliance-based, and lacked any capability to tailor, score, visualise or mitigate identified risks across dozens to hundreds of companies. More information about the new framework can be accessed via WhiteHawk’s website.